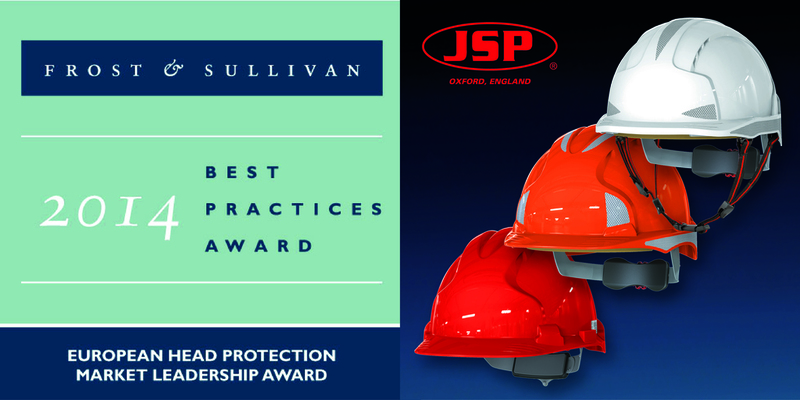 JSP has been given the prestigious Frost & Sullivan (F&S) Market Leadership European Head Protection Award 2014 for its commitment to providing outstanding industrial head protection products and customer service. In bestowing the award on JSP, F&S recognised the company’s strong brand image and comprehensive product portfolio, maintaining the highest market share within the competitive Personal Protective Equipment (PPE) industry by a process of constant innovation by its own internal R&D department, which results in new and enhanced high quality products. F&S research analyst Shray Sharma said: "JSP maintains a constant focus on using new materials and manufacturing technologies. It has also acknowledged the rising trend of sustainability by developing hard hats made from fully recyclable, UV-stabilised, high-density polyethylene." The firm acknowledged that JSP has a wide breadth of head protection and covers more standards than its rival companies. JSP has focused on developing its Evolution hard hat line by adding new features and specifications that enhance product value, such as the 3D precision fitting harness that enables an impressive fit, so giving excellent retention and stability.